When the New York Times offered to pop thirty straight days of wellness tips and techniques into my inbox, I hopped onto the challenge, and recruited a few of you. After a month, the challenge dust has settled and here's what I think: Upbeat, varied, but spending only ten minutes per day is not enough to mitigate a winter that's making even hardened Montréalers cry. The program is not exercise-oriented; "wellness" includes nutrition, social interaction and meditation, as well as planks and bird dogs. I realized how much I dislike, no, detest guided meditation; the spoken directions cause me to re-write the exercise instead of meditating. I also had a negative experience with the "close your eyes and stand on one leg while brushing your teeth" challenge because who wants to clean the bathroom mirror at 11 p.m.? There were many uses of the word "mindful" during the challenge, but calling this particular activity "mindfulness' seemed inaccurate. Good balance practice, though. The day I was challenged to have a "phone free lunch" I realized just how pervasive social media have become. The workout segments were gentle enough to entice non-exercisers and included modifications for all levels of fitness. I would have liked to see someone past early middle age among the demonstrators. Overall, I'd grade the program a solid A for it's variety and gentle prodding to ramp up both activity and social interaction, a B for instructional design, but only a C+ for my results. I do feel better but I'm not sure the program was to thank, it may be Jason Momoa in his blush pink suit at the Oscars. I had to import more movement than the Well Challenge prescribed, no thanks to Le Duc's parallel mission: to find the irresistible oatmeal-cookie recipe. As extra motivation, I promised myself a reward if I completed every single day, on the day it came in, no stacking. 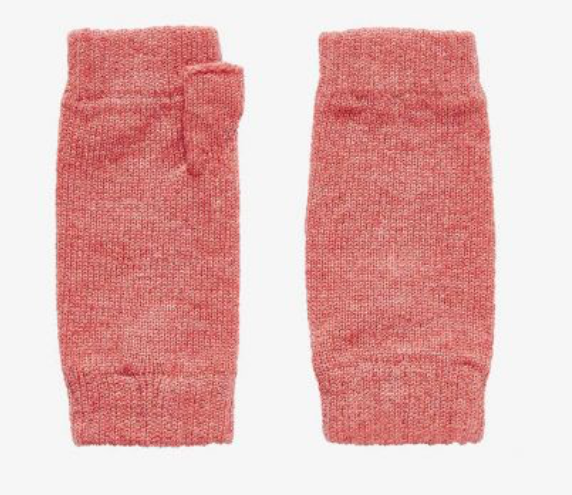 I chose a pair of Brora cashmere wrist warmers which conveniently went on sale the day the program ended! Here's the oatmeal cookie recipe, retrieved and adapted from sugarspunrun.com. They are simple, true and deeply buttery. Be well! 1-2 cups raisins or chocolate chips optional! Gradually stir in oats until completely combined. If using raisins or chocolate chips, stir them in at this point. Bake on 375F (190C) for 10-12 (edges should be slightly browned, centers may still be slightly underbaked but shouldn't be raw, they'll bake completely as they cool).